Sydney Shop Girl: SSG's Fashion Forward Giveaway. 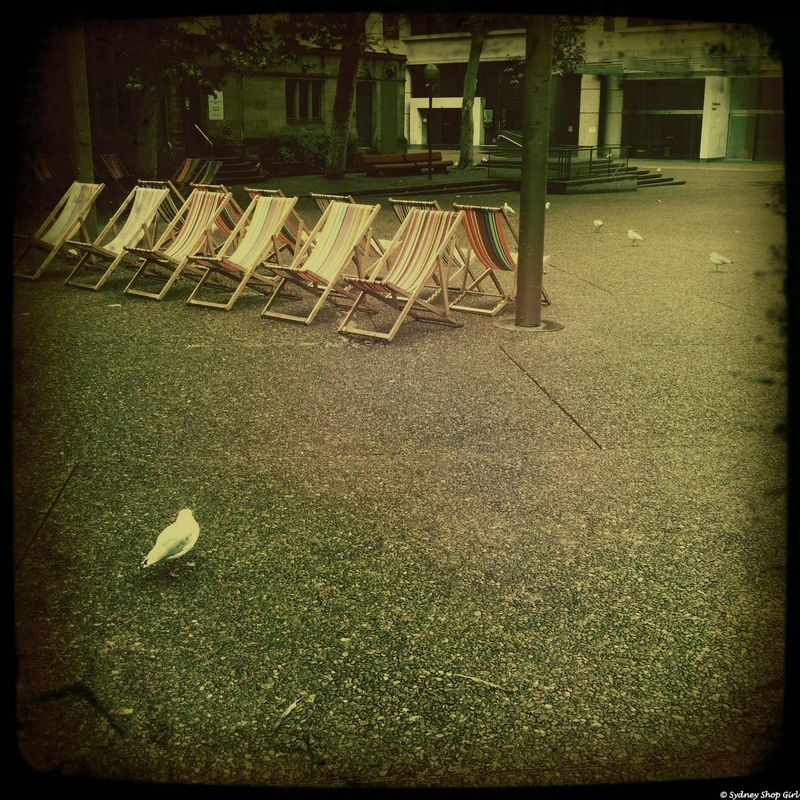 Summer is so over it's not funny. Monday posts are usually book reviews or catch ups about the wild Sundays I have in my kitchen in the suburbs but today we break free from routine. It's time to give. I like doing giveaways. I try to have some kind of theme which makes it fun to shop for. Then I get to photograph everything and mindlessly chat around the images. In my Walter Mitty life, I would be in charge of promotions at a magazine. 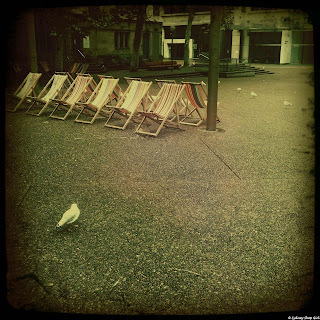 Any magazine. I'd have fun dreaming up contests even if the best prize was a can of baked beans or a toilet roll cover. I'd simply value add the prize pool out of sympathy for the winners. Moving right along. I'm not going to give up a great day job. The theme for my current giveaway is fashion. Mainly because of the change in season and the recent Australian Fashion Week shows. Though I don't actually know much about what the powers that be decided were the main directions and trends from the Australian collections. I'm sure I'll find out soon enough. So I decided to go back to basics and think about what people like us do with their clothes when the season changes. We work with what we've got whilst dreaming about that perfect piece inspired by the catwalks but in a flattering cut and at a price point we're happy(ish) with. 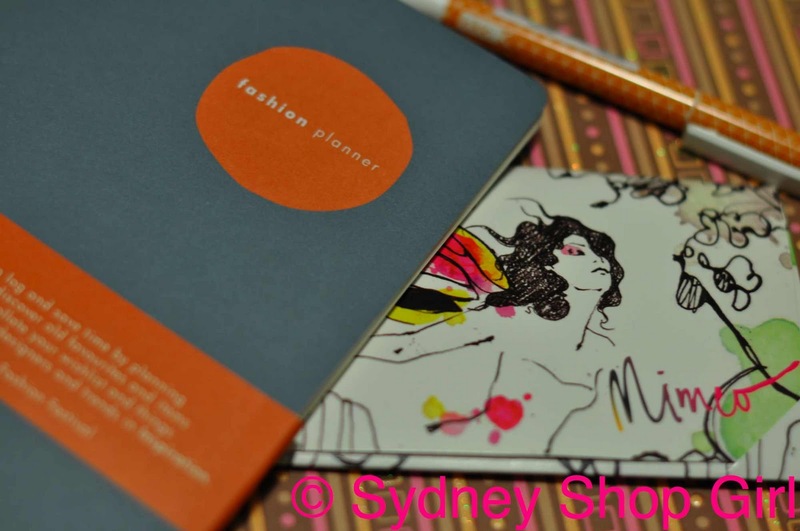 These fantastic Fashion Planners from kikki.K. A Fashion Week limited edition. With an orange pen (with black ink) because we're all feeling orange this season, people. Feeling It. Each week has a double page where you can write down what you're going to wear each day plus, my favourite bit, the grey box. Where you write down what you want to buy or hope to wear the following week. If I designed the book, that second section may wall have taken up most of a page. The fashion forward component of the prize is one of 3 gift cards. I know gift cards are a controversial gift. The yay sayers argue 'practical and empowering to the recipient' the nay sayers say 'too little thought'. I'm with the yays all the way. Option 1 is from Oroton. 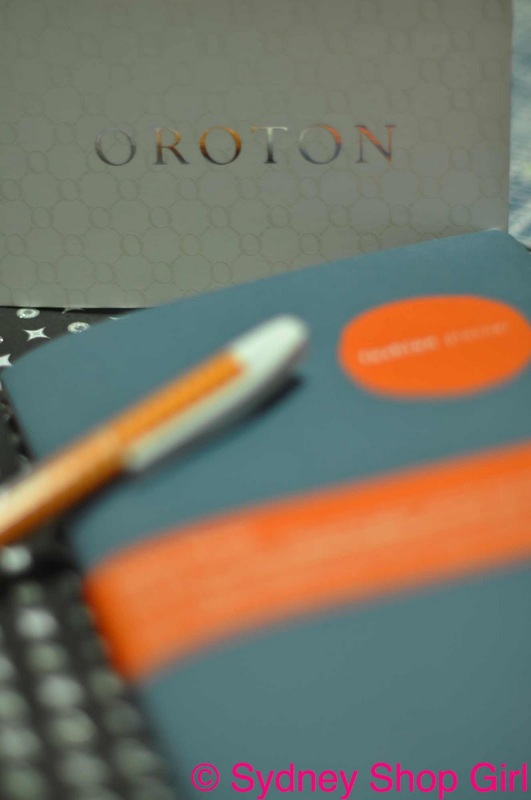 The Oroton prize - $100 AUD Oroton gift card, Kikki K fashion planner and pen. Option 2 is from Mimco. 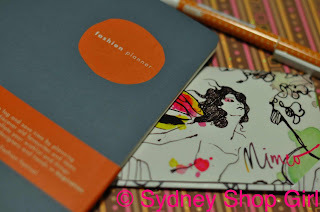 The Mimco prize - $100 AUD Mimco gift card, Kikki K fashion planner and pen. 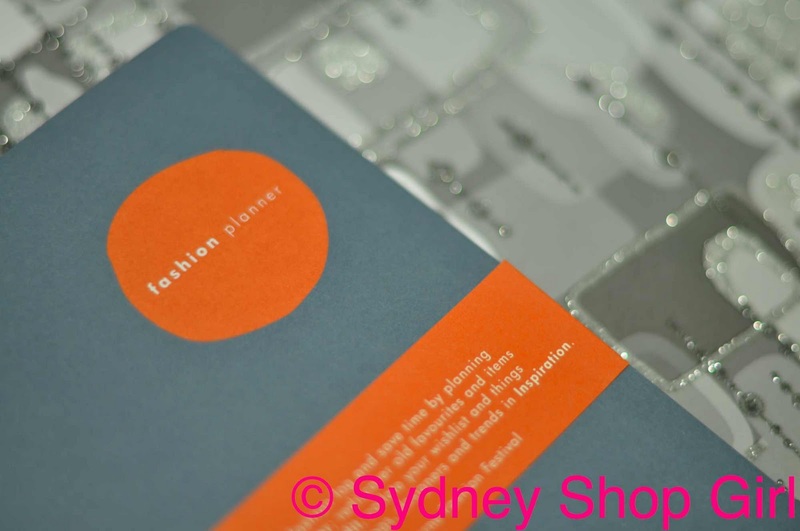 The NAP prize - A Net A Porter gift card worth 50 GBP and the inaugural SSG care package. So, 3 prizes - 2 for Australian readers (or those planning to visit Australia in the next little while to use the vouchers because our local websites aren't keen on the universal / international gift card concept) and 1 for international readers. 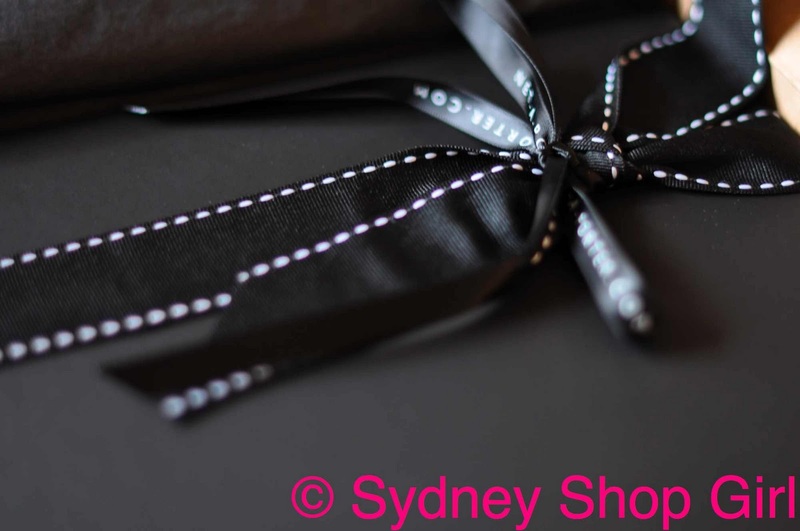 if you wish, specify either the Oroton or Mimco gift card (for Australian followers). ENTRIES CLOSE MIDNIGHT SATURDAY APRIL 2 2011 (AEDST). Good luck and may the fashion be with you (boom tish). You're all such lovely readers and I look forward to hearing from you soon. Ohh SSG you are fabulous! And so is your giveaway! I'm hardly fashion forward so could use all the help I can get. What a fantastic giveaway SSG! You are so generous - thank you! I'm going to try my luck! 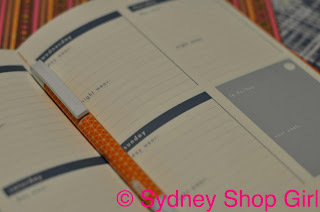 Need to get my hands on that planner. Absolutely love Kikki K.
P.S. Your trip sounds amazing! Wow I just found you through Radio Carly, your blog is lovely and there's a giveaway to boot!